Wealth and Prosperity: Was Jesus Against Them? In June 2010, we put up an article entitled: “Wealth is not Evil: An Old Testament Review”. In the article, evidences were shown that God, Creator of the Heavens and the Earth, our Father, wants us to be wealthy and prosperous in our life. The ways of poverty is simply not His style. In this article, I seek to clarify certain misconceptions and misinterpretations of what Jesus Christ said or did that led some people to believe that wealth is evil and that poverty is holy. Some people will say that only the Old Testament patriarchs were made wealthy; when Jesus came, He condemned the rich and encouraged all of us to be poor like Himself and His apostles. Well, first and foremost, I would like to clarify this: that Jesus Christ never condemned rich people and He never encouraged anyone to be poor. How about the rich master at Luke 18? What Jesus was saying here was that being rich alone cannot get anyone into heaven. Actually, by saying that it is easier for a camel to go through the eye of a needle, Jesus meant that IT IS IMPOSSIBLE TO ENTER HEAVEN by money and riches alone. We can see the rich man did not respond to Jesus’ question indicating that he did not acknowledge Jesus as God. Instead, we find him boasting about his ‘obedience to the law’ and about how ‘good’ he was in living his life. Well, sorry for him because his obedience and/or his money will not get him a ticket to heaven. It is simply not good enough. So, in Luke 18, Jesus was not actually saying that: “All rich people will go to hell.” What Jesus was saying is that: our earthly accomplishments will not help us attain Salvation. Like the rich master in Luke 18, it doesn’t matter whether we live a ‘good’ and ‘obedient’ life or we live a rich and charitable life. Without Jesus Christ as our Saviour, we CANNOT enter heaven. What did Jesus mean when He said: “Blessed are the poor”? This statement is a famous line from the beatitudes found in Matthew 5:3. 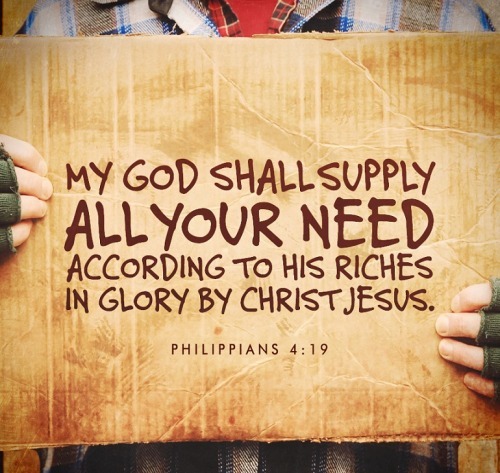 This is another line people use to establish that Jesus encourages us to be poor. 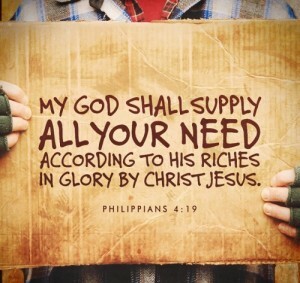 They use a perverted interpretation of this verse to justify that poverty is indeed holy. Secondly, even if the phrase “poor in spirit” points to being materially poor, the following phrase say why the poor are blessed: because the kingdom of heaven is theirs. I’ll say it again: Blessed are the poor in spirit BECAUSE the kingdom of heaven is theirs. What Jesus was saying is that we were once spiritually bankrupt people, we were once in poverty and slavery; but now that He is here, we are inheriting His Kingdom. NOW, WE ARE TREMENDOUSLY BLESSED! If Jesus wants to say that being poor is holy, He would have said: “Blessed are the poor for they will be forever poor” or “Blessed are the poor for they will never be rich.” But no, Jesus is saying that we are blessed because we are all going to be rich! Jesus came down to earth to save us from our sins. To accomplish this righteously, He has to follow the rules by taking all the curse and punishments of sin upon Himself. Jesus lived a sinless life making Him free from all the curses of sin. My question to you: if Jesus Christ was sinless and sin has no legal claim on Him, then how come he went through all the punishments of sin, including death? Poverty is a curse of sin (it came to pass when Adam and Eve were kicked out of the Garden). Jesus deliberately took the curse of poverty upon Himself so that the curse of poverty won’t have any hold on us. Why did Jesus do this? Because He wants us to live the abundant life! Jesus Christ is a loving God. When He created Adam and Eve, He made sure that man never lacked anything good. Poverty is a curse, a curse that brings forth anxiety, hate, and crime. Jesus wants us full, He wants us victorious, He wants us to reign as Kings and Priests!